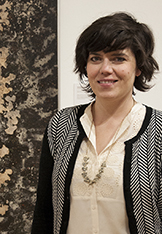 Meredith Lynn is an artist and curator with a background in arts administration. Her main areas of interest are community engaged and interactive art. Her multimedia artistic practice explores issues of identity, geography, and technology. Her recent project 'West Fargo, MN' utilized a glitch in GPS software to create an imaginary digital town on the border of Minnesota and North Dakota.